Manufacturers of enhanced vision systems take on night-vision goggles, and each other. 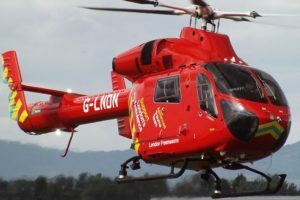 Flight safety issues in the emergency medical services (EMS) community are spawning a heated battle between two complementary technologies, enhanced vision systems (EVS) and night-vision goggles (NVGs), as many operators move to equip their fleets with one or the other. 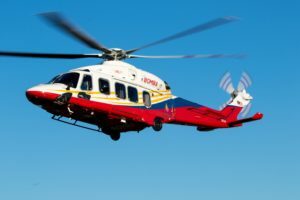 The targets of the competition are the operators of more than 600 EMS helicopters in the United States that are not yet equipped with either technology. Of the more than 700 helicopters in total, about 100 have NVG systems installed and a handful have EVS. While EVS and NVG vendors agree that having both technologies on board is ideal--NVGs to amplify light and EVS to paint an infrared (IR) picture--they said the reality at the moment is that EMS operators don't have enough money for both. "We're seeing a trend of people choosing one or the other," said Lou Churchville, vice-president of sales for EVS maker Max-Viz. 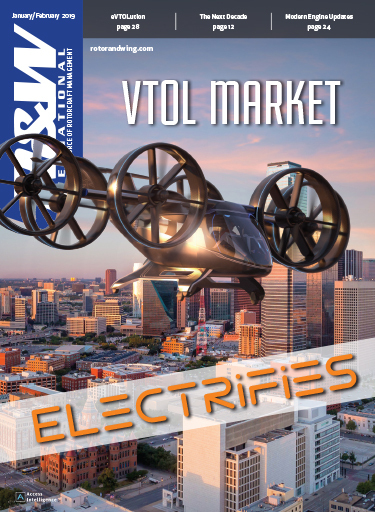 As such, Churchville and other EVS manufacturers are making the case with safety regulators and helicopter operators that EVS is easier to use and ultimately less costly than NVGs. It's likely to be an uphill climb, given that EVS came on the scene only a few years ago and NVGs have decades of operational experience in the military. Selling points for NVG include its long history in the U.S. military and its buy-in costs--as low as $60,000 in some cases versus roughly $100,000 for an EVS. 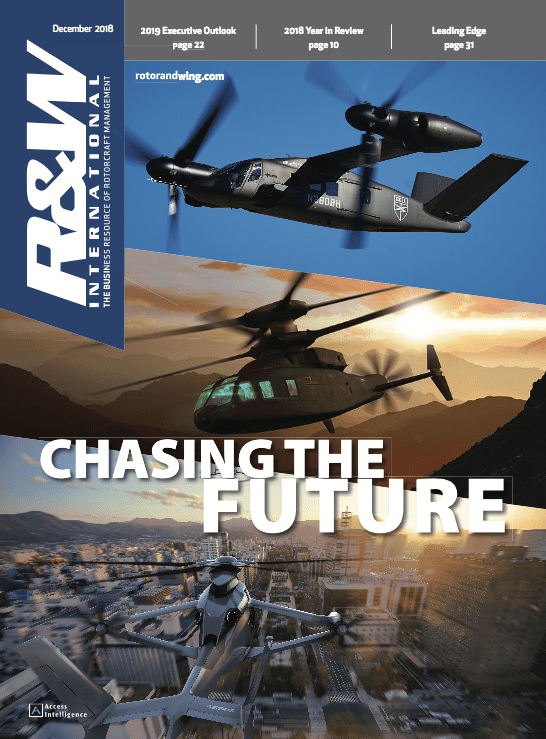 Mike Atwood, president of Aviation Specialties Unlimited (ASU) in Boise, Idaho, said the price for equipping a helicopter like a Bell 206 for NVG operations would include about $20,000 for two pairs of NVGs, predominantly made by either Northrop Grumman or ITT, another $25,000 to install NVG-compatible lighting in the cockpit (photons from incandescent lighting compete with the photons in the outside scene, making the goggles less sensitive), and about $13,000 for initial training for four pilots. The FAA regulates NVGs for Part 135 operators under a company's operations specification and through RTCA DO-275 (goggle performance standards) and DO-295 (training guidelines) documents. Initial training at ASU, a Part 135 flight training center, includes 8 hr. of ground school and five flight hours with the goggles. Recurrent training must be completed annually, plus the goggles have to be serviced every six months at a cost of about $200 per unit per servicing, said Atwood. The upside of NVGs is that the AA-battery-powered, 1.2-lb. binocular devices with 40-deg. circular field of view (FOV) are mounted on the operator's helmet, making the aid available anywhere the pilot is looking. "Pilots and crewmembers are able to see which way they're going without moving the aircraft," said Atwood, EVS uses a hard-mounted forward-looking infrared camera. "By far, the pilot and crewmembers being able to see is more important, especially in EMS where they operate in remote areas," said Atwood. He noted that the NVG market for the sector is growing at about 10 percent a year in terms of sales. Of the more than 750 EMS helicopters in the United States, he said roughly 100 had been configured for NVG use as of late 2005. The downside is that NVG output can be variable and unpredictable. The devices extend the visual range of the human eye from an upper end of 0.7 microns out to about 0.9 microns, the non-visible near-infrared region that contains more nighttime light energy. That means relatively dim sources like stars can provide enough light so that a dark landscape looks like a landscape at twilight with NVG. The goggles themselves amplify the sparse light using a photocathode-and-microchannel-plate combination, displaying the scene in various shades of green on a 2D phosphor screen set about 1 in. in front of each eye. Ambient light is fickle, however. Since the goggles work by amplifying light, the clarity of the scene is impacted by the amount of light available and the obstacles the light has to pass through--namely clouds and precipitation. Predicting in advance how NVGs will react to atmospheric phenomena is a continuing challenge. According to the U.S. Marine Corps' helicopter NVG manual, "thick, dense" clouds reflect light and can be seen with NVGs, especially when silhouetted against the night. Sand and dust don't reflect light well, and therefore won't register on the NVGs. On the other hand, thin and wispy clouds that can be seen with the naked eye may be diffuse enough so that light passes through, making the clouds invisible to the NVGs. "The invisibility of thin clouds which progress to thicker ones hiding terrain features can create a severe hazard for NVG operations," the manual states. Light limitations are why both NVG and EVS manufacturers says the ideal companion technology for NVG is EVS. By operating in the infrared region of the spectrum, from 8-14 microns, an EVS is independent of light sources. Instead, the technology picks up on subtle temperature differences to plot a picture of the landscape. "Where the two really work well together is on a really dark night where you do have some imaging, but not enough to continue comfortably," said Bob Yerex, Max-Viz field sales manager. " EVS makes sense of the dim visuals." Yerex started working at Max-Viz in January after a 23-year flying career as a U.S. Coast Guard helicopter pilot, airline pilot and EMS pilot with more than 8,000 hr. total and 550 hr. NVG time. Max-Viz is one of three main North American competitors in the low-end EVS market, along with new entrants Kollsman and CMC. All three build helicopter systems that incorporate non-cooled micro-bolometers that project the IR emissions ahead of the aircraft onto a 320X240-pixel venadium oxide detector, the output of which is displayed in monochrome on a video monitor in the cockpit. Though the technology can see through smoke, haze, dust and light fog to some degree, it won't show anything when the temperatures of the area to be imaged are roughly equal, for instance in cold, wet conditions. The technology at the root of the EVS may be the same for all three vendors, but their implementation is not. Max-Viz's offering for the EMS community, the EVS 1000, is an uncooled system operating in the 8-14 micron range. The system weighs in at about 5 lb. and includes a 53-deg. horizontal by 40-deg. vertical field-of-view (FOV) sensor, power supply and a monitor in the cockpit. It typically costs $60,000-90,000 for the hardware and installation in a helicopter. The kit requires that a fairing be built around the sensor, with a cutout for the sensor window. The company also produces a heavier, higher end EVS 2500, which includes a second, uncooled sensor that operates lower in the IR spectrum, making runway lights more visible through the weather as an aid for instrument approaches. Soon-to-be competitor in the market, CMC, is in the final stages of certifying a 2.5-lb., uncooled SureSight M-Series EVS that operates in the 8-14 micron range and will cost $80,000-100,000 installed, said Mike Venables, senior marketing manager at CMC. The system, which was to be ready for production by the end of March, is packaged in a single box and has a 36X27-deg. field of view (FOV), about the same as the center portion of the human eye. Like the Max-Viz system, the installer has to build a fairing around the sensor with a hole for the sensor's window. The system will interface with TV-capable displays as well as electronic flight bags. Venables said he's had "significant" interest from the helicopter community. Pilatus is the launch customer for the unit with the PC-12. CMC also builds a more expensive cooled EVS, the SureSight I-Series, which is 50-100 times more sensitive than the M-Series and is optimized to view runway lights and provide better penetration through weather. 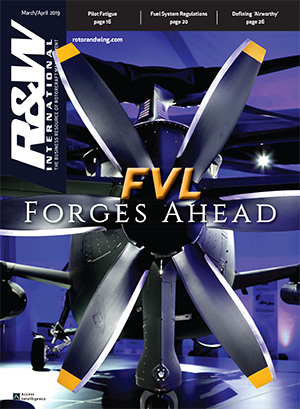 While more capable, Venables said a cooled system was not likely to become available at the "price point" for the helicopter EMS market. One area where CMC differs significantly from Max-Viz on its uncooled sensor is in FOV. At 36X27 deg. (horizontal X vertical), the CMC FOV was deliberately chosen to make the image on the display have a 1:1 perspective, said Venables. The problem with a larger field of view, like Max-Viz's 53 deg., according to Venables, is that obstacles on the display appear farther away than they actually are and that fewer pixels are available to show what's ahead. "If there's an obstruction on the landing pad, you will see it sooner with our system," he said. Max-Viz's Churchville agreed that obstructions do indeed appear farther away than in reality on his system, but says the company deliberately selected the larger FOV to give the best overall view for situational awareness both in flight and on the ground. "Any narrower than that, you risk losing peripheral vision," he said "We determined that 53 deg. was the best choice for all-around utility on the ground or in the air. This isn't designed for pilots to navigate to a landing heads-down," he added. Having a FOV even smaller than CMC is Kollsman's EVS offering. Called the GAViS (General Aviation Vision System), it's an uncooled sensor operating in the 8 -12 micron range, costing about $90,000 not including installation, and weighing in at less than 5 lb. Kollsman made EVS history in 2001 when Gulfstream certified its cooled IR sensor on the G-5 business jet. That system, called the All Weather Window, allows approved operators using an EVS-and-head-up-display (HUD) combination to lower their Category 1 instrument approach minimums from 200 to 100 ft. under FAR 91.175. GAViS, at one-fourth the price of the All Weather Window, will represent the company's entrance in the non-cooled sensor market. Edward Popek, marketing and sales manager for the company, said the Kollsman offering will be "uniquely different" from the competitors because the sensor is already packaged in a fairing and the entire system mounts directly to the aircraft, reducing installation costs. "You mount it like an antenna on the aircraft skin and just run power to it and take video from it and display it," he said. 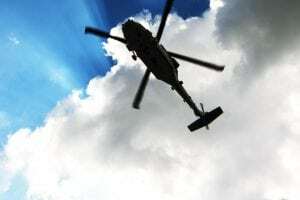 Popek said he expected to certify the system by August and that the company was "in the process of closing some deals" for helicopter applications. The company is also researching the next big thing--an enhanced synthetic vision system (SVS) combined on the same display with an EVS image either from the company's uncooled sensor or its top-of-the-line cooled sensor. SVS is a computer-drawn image of the environment based on the information in an onboard terrain and obstacle database. 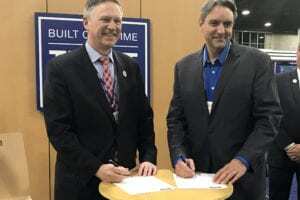 The concept is being touted as the "perfect" synthetic vision system by NASA and companies like Rockwell Collins and Honeywell are actively investigating the possibilities for business aviation. EVS in this case provides the real-world verification of the accuracy or inaccuracy of the terrain and obstacle database. High-end offerings are not likely in the cards anytime soon for EMS operators, who at best may be deciding between goggles or enhanced vision. It's no surprise that EVS makers say that theirs should get the nod. A point that Max-Viz is driving home with operators is that EVS is a one-time expense, whereas NVGs are not. Bob Yerex, while working for EMS operator Airlift Northwest a few years ago, was the project lead for program to outfit six Agusta 109E/S aircraft with advanced safety avionics and NVG. He said the goggles and the compatible cockpit lighting costs alone for the Agusta were equivalent to the cost of an EVS. Beyond that, he said training costs were substantial and ongoing, including initial training, 60-day currency for NVG operations, annual recurrency training and an annual NVG checkride (a company requirement). With EVS as a situational-awareness tool, there are no regulatory requirements and there are no training or recertification rules, though Max-Viz will provide operator-specific training if requested. Beyond the cost issues, Yerex, based on his NVG experience, believes that EVS is a more conservative option for operators considering one technology, not both. "When you place an NVG over your eyes, that image becomes your new visual reality," he said, "and it results in the operator extending into operational areas he would not have ventured into with the naked eye." 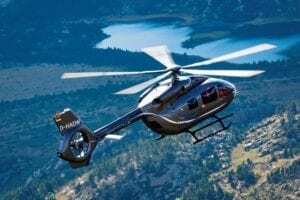 NVG training schools, like Bell Helicopter's Customer Training Academy, however, are well aware of the dangers of NVGs unknowingly taking a pilot from visual to instrument flight conditions. "It gets back to the training issues of how we identify poor weather," said Bell instructor Scott Baxter. "We teach techniques that help you avoid it."